CES Asia wasn’t just about the latest gadgets and sleek new models from automakers. 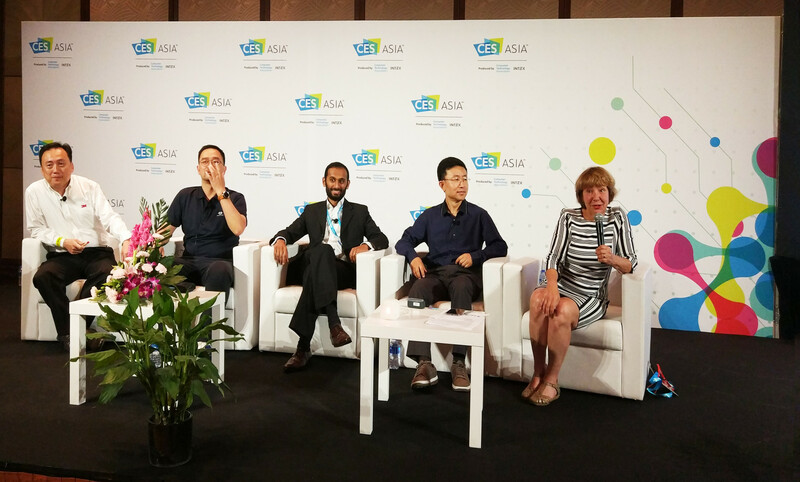 Three companies working on vitals monitoring, diagnosing cardiovascular disease and air quality monitoring explained how their innovation is improving our health and saving lives in a panel discussion focused on digital health. Heart attack is the number one killer in the US and a leading natural cause of death in many parts of the world. It is usually caused by artery walls narrowing and hardening after plaque build-up. This condition is called atherosclerosis and Beijing-based Lohas Tech has developed BioRF, an artery radar sensor to diagnose this condition. 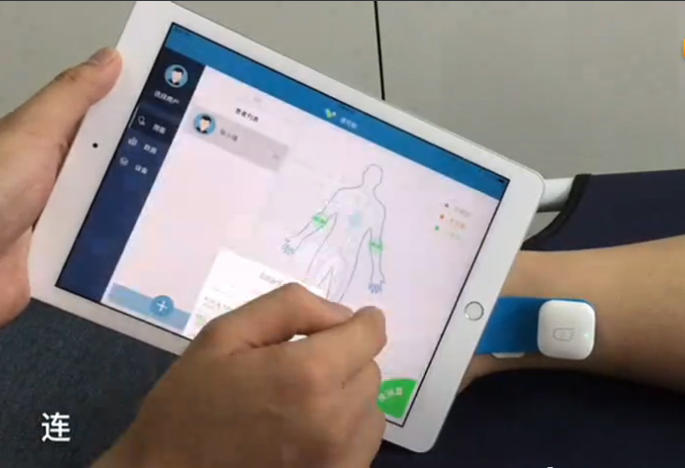 BioRF’s technology works by wirelessly sensing the vibration of proximal and distal artery wall, inputting the data into a daily management application where they can track and monitor your health. All of this comes in wearable adhesive bands and an app on your smartphone or tablet. The traditional device for diagnosing atherosclerosis is a massive and expensive machine set up in the hospital. Patients would maybe visit once a year for a check-up. So BioRF can completely change the way that hospitals and patients approach atherosclerosis and its management. BioRF received second place in the National Smart Manufacture (China Made 2025) competition, launched to promote innovative design in Chinese companies. BioRF is one to watch, with its potential to disrupt how a critical medical condition is diagnosed. VivaLnk is a company providing wearables, apps and data services for continuous vitals monitoring. Its founder and CEO Li Jiang received a PhD in chemical engineering in the US and decided to found VivaLnk after accumulating much experience in product engineering. Using their proprietary eSkin technology, VivaLnk has launched their first wearable monitoring device, the FeverScout. It is a band-aid sized patch that users stick under their armpits to continuously monitor their temperature. The patch can be worn for seven consecutive days at a time, at which point new adhesive need to be applied. FeverScout is connected to a mobile app, which can send alerts if the temperature rises above a set point. With FeverScout, VivaLnk is targeting the children’s market where parents need to closely monitor their children’s fever. Another group which FeverScout can serve well are those vulnerable to fever-induced seizures. Lastly, hospitals and clinics make up the majority of VivaLnk’s B2B clients, as they need to continuously monitor their patients. FeverScout has been approved in the US by FDA and in EU by EDA. They are currently pending approval from China’s CFDA. Blue from Meo Life is another air quality monitor to hit the market in China. Founder Sakétaram Soussilane’s son has bronchitis and so the need to monitor air was a necessity. Meo Life launched Blue at CES Asia. The air quality monitor has similar features to others in the market such as Kaiterra’s Laser Egg, in that it measures PM2.5, PM10, VOC, temperature, and humidity. It also integrates with Apple HomeKit and Amazon Alexa. However, its design of LED lights stands out as an attention-grabbing visual indication of the air quality. At the panel, Blue’s LED lights were lit up to show an alarming red, perhaps demonstrating its effectiveness a little too well. 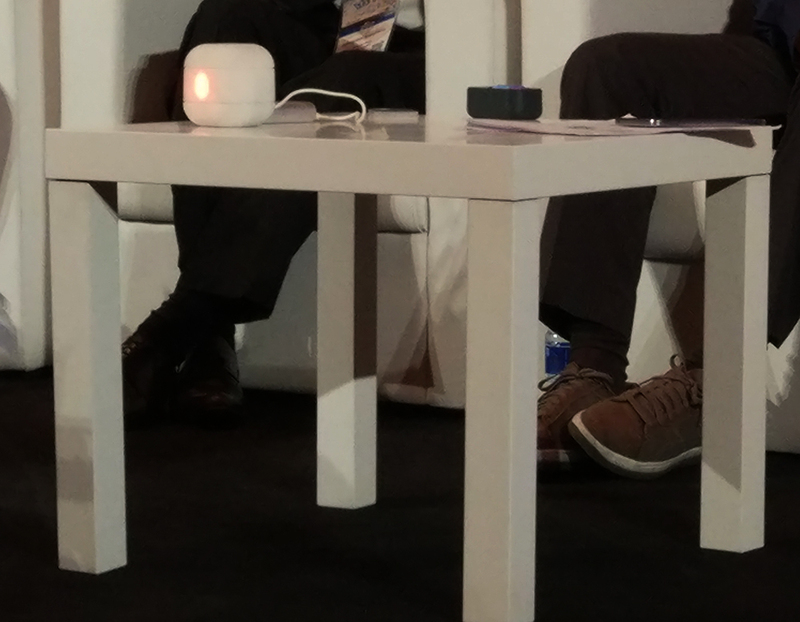 Soussilane believes the accuracy of Blue, as well as its ability to integrate with existing apps such as HomeKit and Alexa, will make it attractive to customers.